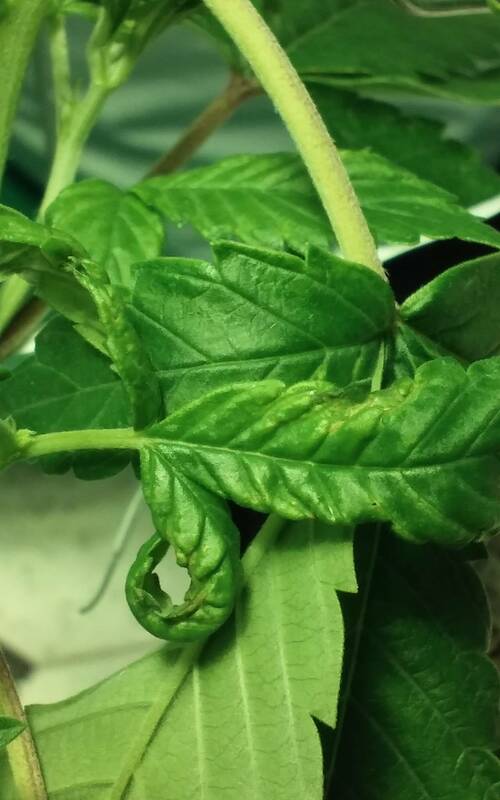 Are these leafes damaged by pest? 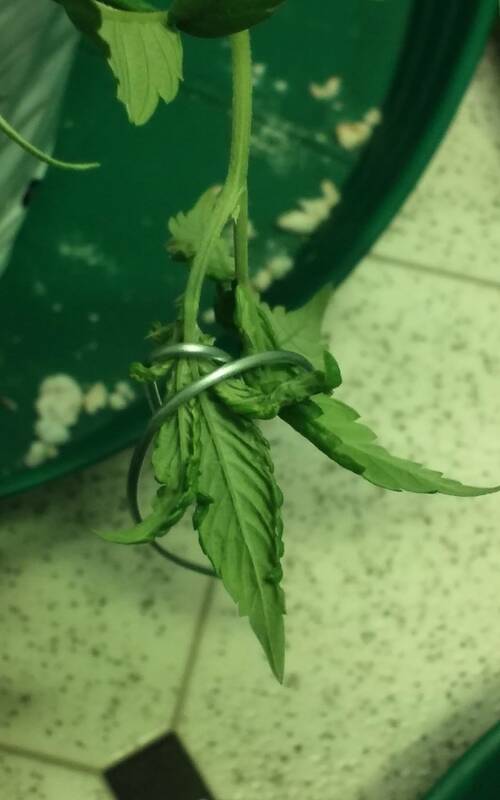 Hello, do these leafes look like there infested? If so what pest would cause this to leafes. I am batteling a broad mite issue, but im wondering if this is fungus gnats? Or aphids? Not fungus gnats not sure about anything else. Gnats are the only thing I've have problems with so far fingers crossed. I'm pretty sure pH can cause deformed leaves not a 100% on that tho. Hopefully someone with more experience with pest will chime in. Its probably from all your foliar spray. 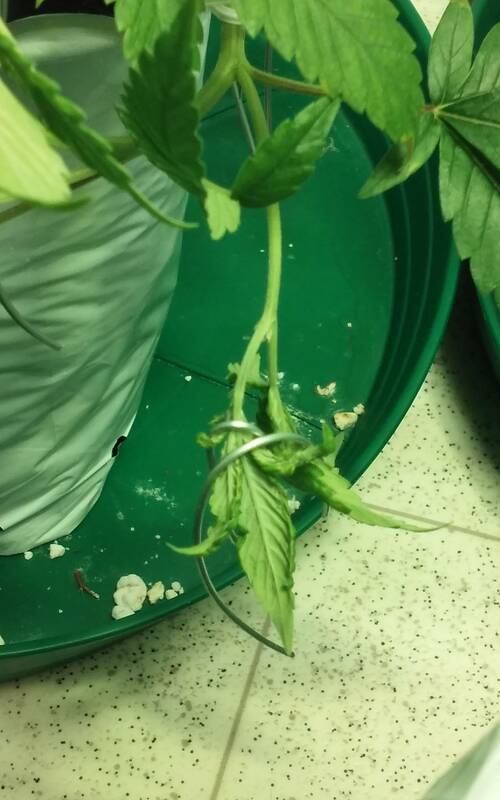 Twisting like that happens from pH problems and over feeding. 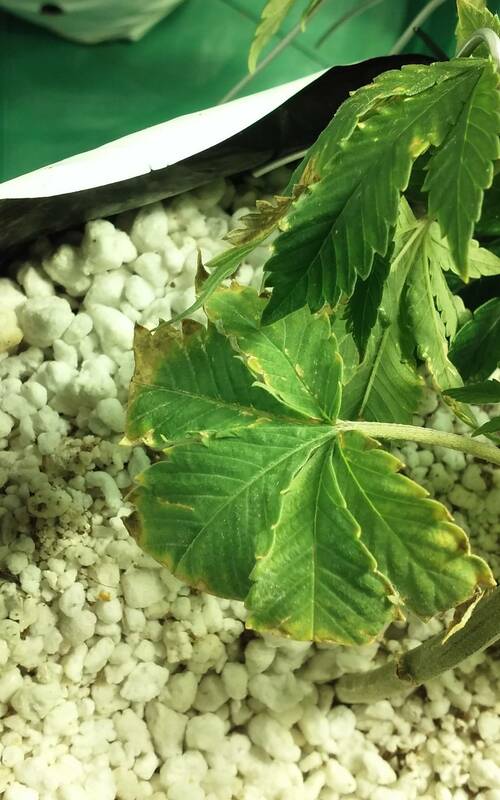 However now tht you have stressed your plants they are now many times more susceptible to infestation and infection. Good luck, like life growing is a constant lesson, learn it and your successes will have no limit. If you had aphids, you would know. I agree that it's probably the spray. What kind of soap are you using? 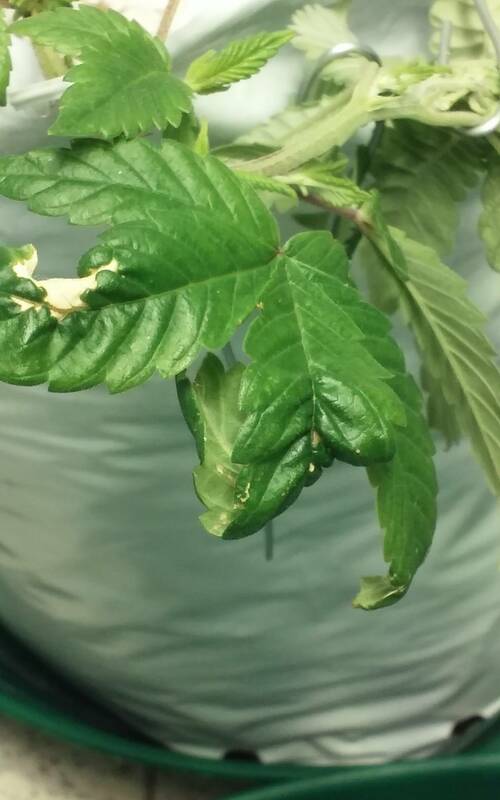 I sprayed forbid and azamax 3 days apart, i think there possibly responding from excessive pesticide foliar, im just anxious abt these mites as i still see eggs, even with full foliar coverage, lastfoliar was 3 days ago, so ill just magic green foliarand apply a neem/protekt or coco wet, asprin foliar, and keep up ipm foliiar/drench, every 4 days from now on at light doses. 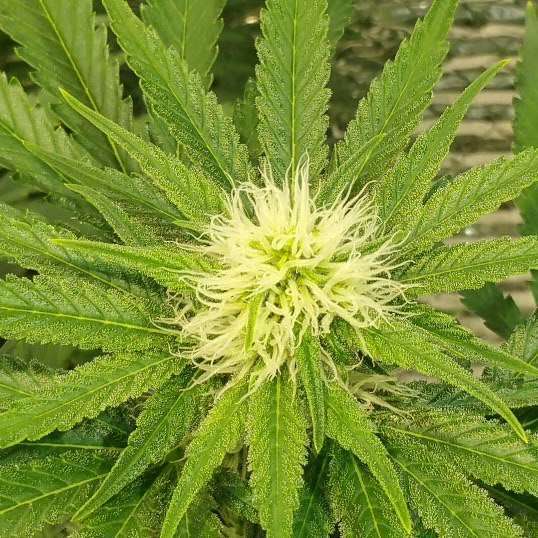 I just flushed as i felt i had a bit of nute burn going on, 1.5 gal ro water phed at 6, and then 1 gal, with 1/2 cal mag, chittin, asprin. I will not feed for at least a week or untill i see signs of droopiness. I guess ill figure that out after harvest if i should ever use this stuff again, i will t with prganic methoda from here out. Yes!! They do look like they are infested with some pest. it can be aphids or moths which can cause the whitish powdery effect on the leaf and thus the leaves get infected with this pest. to get rid of such pest one must contact to pest control Manhattan NY and get the plant free with the pest. 1,270 topic views. 2 members, 60 guests and 92 web crawlers are browsing this forum.